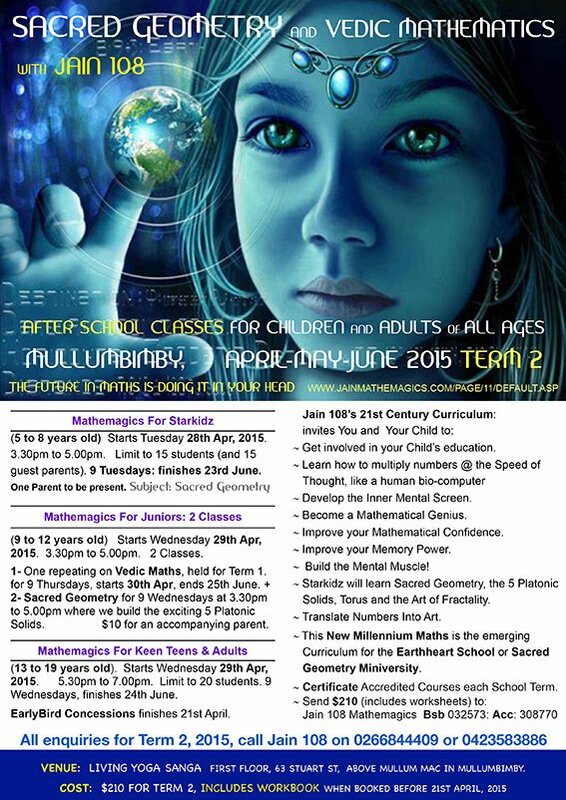 Due to high demand for extra-curricular, private home lessons on Sacred Geometry, I will be giving public classes in Mullumbimby town, at the Living Yoga Sangha (above the Newsagency) for Term 2 this year, for 2015. All Welcome, $20 per 1.5 hour class. 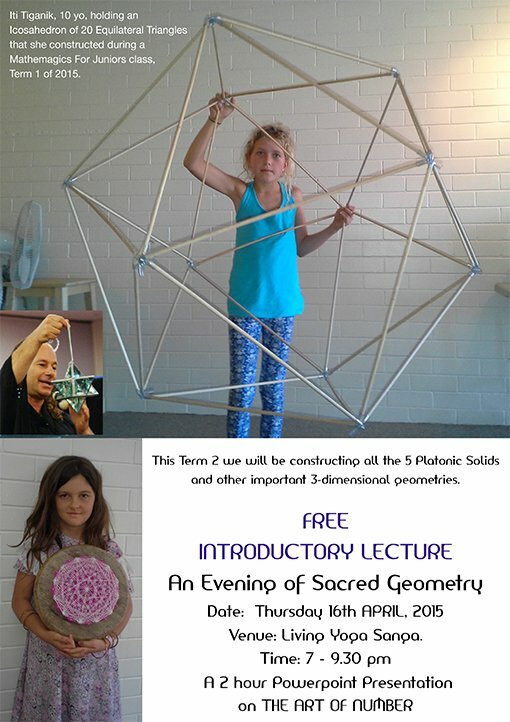 (Starkidz will be learning Sacred Geometry). 9 Tuesdays in Apr-Jun. One Parent must be present. 9 Wednesdays in Apr-Jun. No Parents. Subject: VEDIC MATHEMATICS – Rapid Mental Calculation. Starts Wednesday 29th April. Ends 24th June. 5.30http://www.wikipedia.org/pm to 7.00pm. Limit to 20 students. Worksheets for all classes are supplied. Some classes will be Filmed. Earlybird Registrations = $210 before the 21st April. (Bookings after this date will be $25 per class, total of 9x$25 + $30 worksheets = $255). For every lesson, please bring your own pens, lead pencils, colour pencils, rulers, erasers, A4 notebook, compass (for teens only).